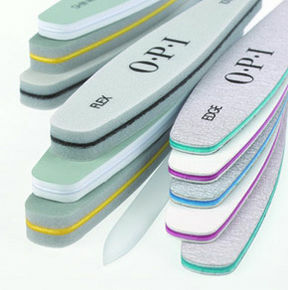 OPI offer a range of nail buffers and blocks to suit all types of nails. Duel-grit smoother, smoothes feet fast with two professional-grade grits; medium side reduces calluses (blue); fine side buffs skin to a smooth finish (gray). Easy to use, ergonomic, easy to grip handle.